A New Year Filled with New Products at MRBOX! The team at MRBOXonline does more than sell quality products to help you run your business. We listen. We problem solve. That’s why for 2017 we introduced a new, weather-resistant cardboard box, expanded our 3M product line, and offered an airtight solution to safely transport your products. Our new product additions will help your business be more efficient, effective, and successful. Take a look! Don’t let the plain, brown exterior fool you. 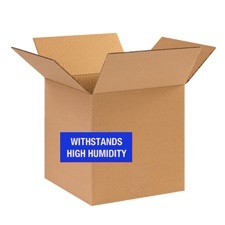 This new line of corrugated cardboard boxes is strong enough to meet military specifications and provides maximum protection for equipment and parts. It’s made with water resistant adhesive, so your shipment will arrive intact even in high humidity and wet conditions. We’re like a kid in a candy store when choosing which 3M products to add to our list of product offerings. And our favorite 3M product addition of all? Drum roll, please! 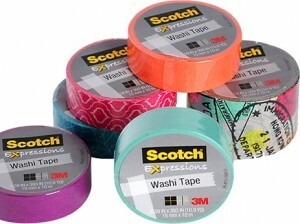 Scotch ® Expression Washi Tape! Get creative with our colorful line of 3M Expression Washi Tape. This tape is great for decorating, paper crafts, or adding a creative accent to almost anything. Looking for ways to spruce up your shipment packaging using washi tape? 3M has some simple and fun ideas. For a fun weekend of crafts with the family, author Amy Anderson shares some ideas on her blog. Check our full line of 3M products! There’s a new way to protect products during shipment. It’s lighter, faster, and more efficient. 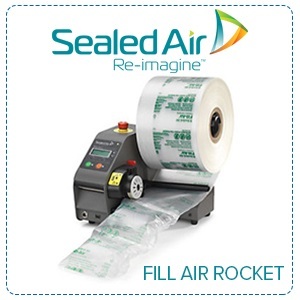 Fill-Air® Inflatable Packaging Systems creates an air pillow that provides excellent protection and efficient void-fill while reducing material and shipping costs. Find out more by calling (800) 231-8806 or (954) 572-2500, or visiting MRBOXonline.